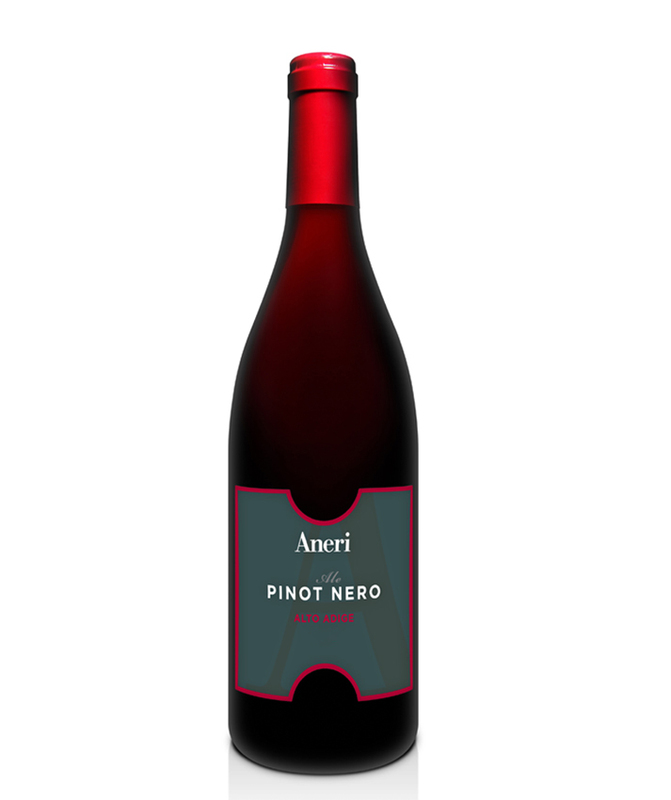 Aneri’s Pinot Nero “ALE” fully fits in the high quality wines range of the house and is produced in Cornaiano. Obtained with a 90% Pinot Noir, Lagrein 5% and another 5% kept secret, Pinot Noir Ale refined for 15 months in oak barrels. The result is a ruby red wine with fine scents of raspberries and pleasant spicy notes, soft and velvety to the palate. Impeccable and finely balanced, this wine is ideal with structured first courses and with important meat dishes.